Suspending the body from nylon straps while holding onto rubber handles may not seem like much of a workout, but it will challenge you in ways nothing else can. Suspension training, and in particular the TRX suspension training system, has gone pro and spawned many a competitor. 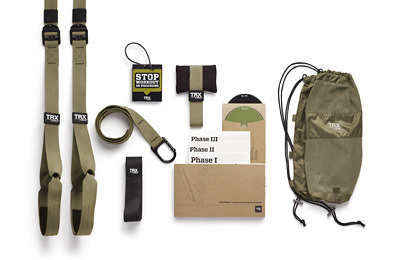 The TRX has three core products, the Home bundle, the Pro kit and the Force (Tactical) Kit, all of which come with a 30 day no hassle guarantee. The TRX Home bundle is the base model for general home or travel workouts. It comes with a door anchor, workout guide and 6 digital 'bonus' workouts that last between 15 and 30 minutes, and can be downloaded/accessed after purchase. 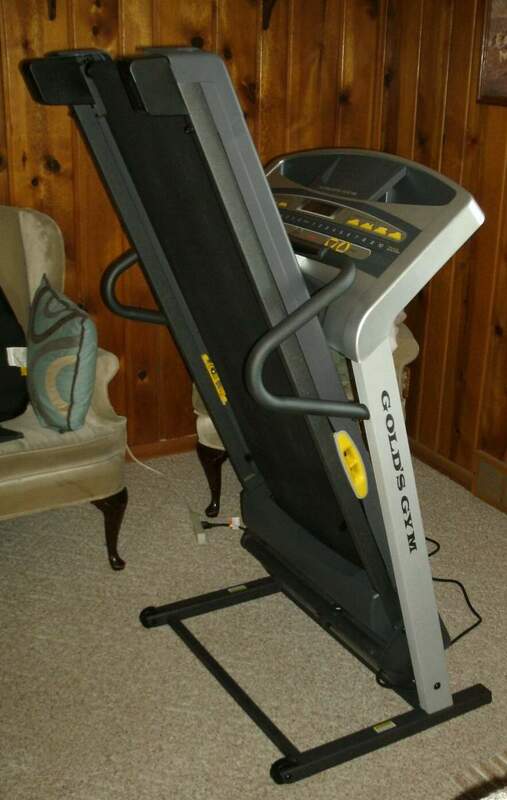 This is the typical black straps/yellow handles version that you see in most gyms and videos. It is made of superstrong nylon webbing, has all the features of the other TRX trainers (suspension carabiner anchor, quick adjusting straps, foot cradles) and is strong enough to hold anyone under any suspension training workout conditions. In addition, you'll also get a wrist band, door placard and mesh carry bag, the last of which will actually come in useful for storage and travel. At $199.95 + shipping, this is the entry model for TRX suspension trainers. The Pro Kit is designed with commercial use in mind. The website says it is the most durable model and is intended for professional trainers, and all the supplemental videos and workouts are designed with industry professionals in mind. TRX Door Anchor. The door anchor allows the user to slip the anchor strap over the top of any doorway, which becomes a strong anchor point when the door is closed. Access to My Locker. This gives you access to tons of TRX video instruction, audio downloads, articles and highlights featured trainers. It also allows you to locate a TRX trainer in your vicinity. TRX Xtender. This adds another 37" in length and can be combined with another Xtender if necessary. Suspension anchor. This is great for training clients outside. Essentially a yellow strap that connects to the carabiner and can be used to wrap around and anchor to a pole, fence, etc. Mesh carry bag, door placard, PRO wristband. The placard lets people know you're working out behind the door, the wristband is, well, a wristband. The TRX Pro Kit costs a little more at 249.95, but you get a lot of value for that extra bump. The Xtender alone is a $15 value and the access to additional training instruction is potentially priceless, especially if you're a professional trainer. Of course, you also get a stronger, Kevlar reinforced suspension trainer, so none of your clients are likely to bust the seams off of the TRX Pro. The suspension trainers are lighter at 1.5 pounds, but have more durable D-rings, and tough rubber handles instead of firm foam. Granted, half a pound may not seem like much, but when you already have a sixty-pound pack on, every little bit helps. 12 week TRX Force training program. $55 value. The workout routines take the user through 3 months of progressive conditioning exercises, designed for building strength and endurance, while increasing mobility and agility. This is possible with any suspension training system, but the TRX Force Kit is the bundle these detailed dvds come in. The nice thing about suspension trainer exercises is they are quickly and easily adjusted to the fitness level of the trainee. The 12 week Tactical program is no different; regressions and progressions are shown, and regular testing shows users their progress, or lack of it! 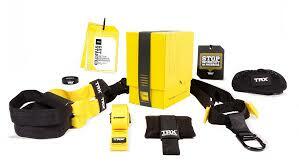 It is progressive though, and there are three phases to the trx force program. The workout routine is four weeks of four days per week for every phase, each beginning with a mobility warm up. The first phase is devoted to building up core strength and endurance. As we noted earlier, one of the main advantages to suspension training is the emphasis on the core musculature. However, it is hard to execute any advanced trx exercise without having practiced and adapted to this type of training first, even if you already have rock hard abs. Thus, phase one. The second phase is designed to build muscle and endurance in the arms and legs, while continuing to improve core and hip strength. Phase three is a comprehensive regimen combining the previous four week sessions, and adding on intensity in the form of interval training. TRX Force Super App. Works for any smartphone. Gives access to a digital version of the 12 week Tactical conditioning program used in the U.S. Military. A $40 value. All in all, this is the best value for your money, whether you are a tactical operator (or aspiring) or not. The additional training materials will keep you busy for months, and make it easy to start out, progress and maintain peak fitness. With the additional video instruction and exercise library, you could become a virtual TRX expert if you put in the effort. Plus, the Force App lets you take these workouts anywhere. One of the most recent additions to Fitness Anywhere’s product line, and one that takes them in a different direction, is the Trx Rip Trainer. The Rip Trainer is designed to develop explosive power through rotational torque while improving balance in these movements. So is this just a glorified stick on the end of a resistance cord? Or is it a clever new exercise tool for increasing power over specific patterns of movement? Perhaps it is both. One thing is for sure, it is a new innovation and one that has excellent potential for increasing athletic performance. To rewind a bit, the TRX Rip Trainer is a ‘level bar and resistance cord,’ designed to improve rotational strength and power, which translates into increased explosiveness. It comes with a carabineer for attaching to various anchor points and provides an asymmetrical load. In other words, the resistance cord is attached at one end and the other end is free. 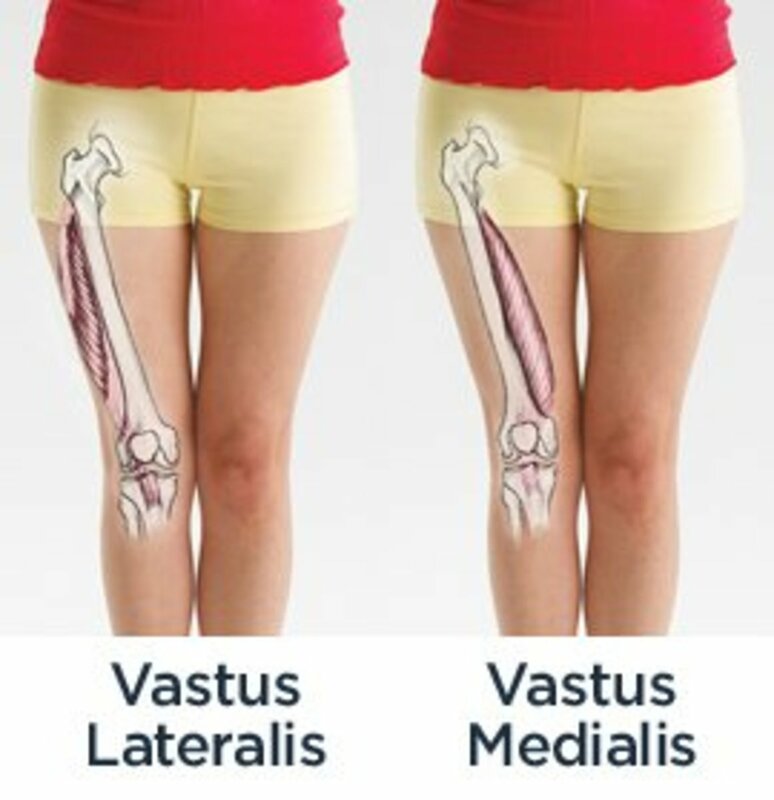 This is similar to real life sports and activities in which an implement is held primarily by one side of the body. Examples in which this equipment could be beneficial include golf, lacrosse, occupations requiring the swinging of axes, hammers and piks, tennis, baseball, basketball and martial arts. That is the short list, though, as the bar can be used to resist almost any motion from any angle. In addition, Rip Trainer resistance cords are also available in light, heavy, x-tra heavy and xxtra heavy at 50 lbs. of resistance. TRX has created a culture around their product line and the expert instruction they offer both online and in seminars. 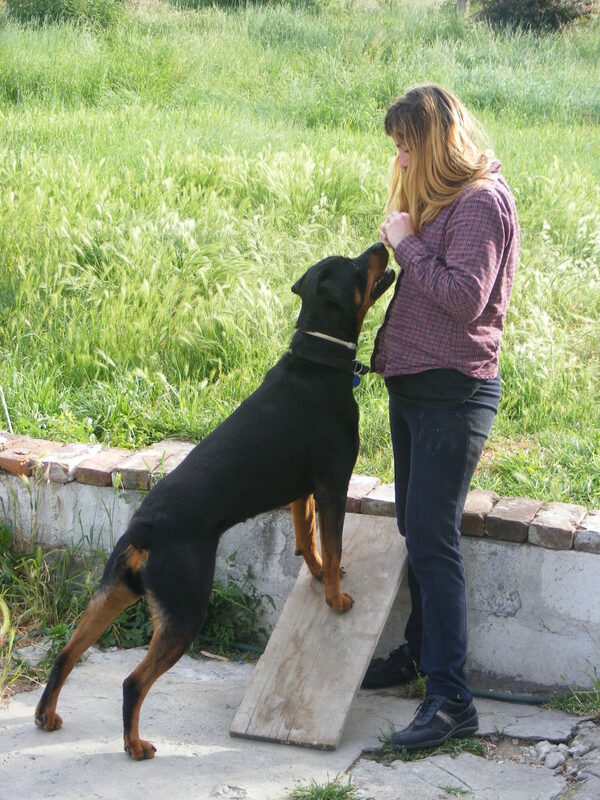 They even train those wishing to teach others through trainer certifications at every level. So are these products really worth the price tag? A meager $200-300 for a potentially body transforming, life-changing return? Absolutely, in my opinion.The benefits of applying yourself to this training are endless and will pay you back in spades for years to come. When you factor in the cost of high quality fitness dvds and downloads, anchors and carrying bags and compare it to the cost of your average gym membership or fully loaded free weight set, the decision is even easier. Is the TRX for everyone? Possibly. The TRX has applications to nearly every sport and fitness goal. Obviously this isn't going to be your only form of training if you're an Olympic lifter, powerlifter or a bodybuilder, but it is still beneficial in terms of balancing this training and injury prevention. No matter which suspension training system you decide to try, give it the full length of the warranty before giving up. This form of exercise is here to stay, and if you spend some time doing suspension training exercises in good form it will definitely change your body for the better, and that leads to increased performance, in sports and in everyday life. We have this at the Anytime Fitness club I belong to - have not yet tried it. I love body weight exercises so this may forever change my fitness routine. You motivated me - off to the club. trainer ben gamon! Thanks for commenting. It is an awesome tool. Check your email through HP, I left you a message about the rest. Cheers! Oooh, interesting James. Thanks for the update! If you are following the Fitnessanywhere vs lifeline issue. It seems like they have a court battle. Lifeline has been around even before Fitness anywhere and many people have heard of it first. Both companies are have the claim to the market.